I honestly didn't realize that this animated series was based on a comic book until well after the fact. 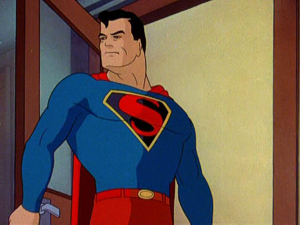 The show ran four seasons and 70 episodes. It was a genuinely funny show, with the protagonist being generally unlikable, but still likable and relate-able. It was a funny turn on the noir detective with family dynamics thrown in. I always felt Cornfed, a riff on Joe Friday, stole the show...along with Duckman's bizarre assistants. This show was a riot and definitely adult material. In college, I was buying tons of DC and Vertigo books with great fervor. When Paradox Press came out, or spun from the ashes of Piranha Press and the Big Book Of series came out, I was hooked an fantastical reads of random knowledge. Seeing that A History of Violence came out with Road to Perdition, I picked them both up. John Wagner's script of a small town restaurant owner who becomes a local hero attracts New York mafia might seem cliche but the pacing is so enthralling. Vince Locke, who I knew from Deadworld, supplied the artwork. Sleek and bleak at the same time, the violence drawn exploded off the page. In 2005, director David Cronenberg took helm of the camera and created a brutal masterpiece. Viggo Mortensen as Tom McKenna (Tom Stall in the film)l and the ever brilliant Ed Harris as John Torrino (Carl Fogarty in the film) were perfect foils for each other. William Hurt and Maria Bello in a stellar, mysterious crime action film. I'm a big Cronenberg fan, so seeing him direct this and make it compelling garnered rave reviews. Two years later Mortensen would re-team with his director to give one of the best gangster films in the last 20 years. 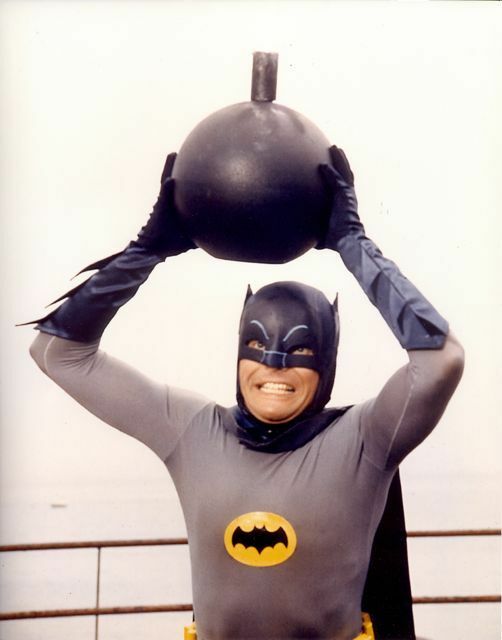 Wether you're a huge fan, or think Adam West's campiness 'ruined' Batman, no one can really deny the show is just plain fun. Sure, things got pretty simplistic at times, but the parade of brilliant acting for the villains was always entertaining. Few things this side of Star Wars have so ingrained themselves in popular culture. ... or that he can catch a plane. The plane sequence is awesome!!! Yeah, that scene was great. Excellent use of real world psychics in the special effects, and Routh's repeating of Reeve's line about flying statistically being the safest form of travel, is the cream on the top. I will admit to geeking out when I saw this movie in the theater. Good pick. A Bloom County Christmas special. i.e. A Wish for Wings That Work from 1991. The apex of my Bloom County Fandom was the end of high school through my university years (circa 1986-1991) and this came out just after I finished undergrad. It was a troubling time for me, but this was a spark of joy in an otherwise bleak holiday season. It brought a smile and a hint of hope in a period where both were rare occurrences for me. It perfectly captures the charm of Berkeley Breathed's strip and is a perfect snashot of just want makes Bloom County what it is. I so wanted to love this special, but I really and truly hate it. Not at all how I imagined Opus or Milquetoast, and it lacks much of Bloom County and Outland's charm. Yeah, yeah, I know...everybody hates this film. For the life of me though, I can't understand why. 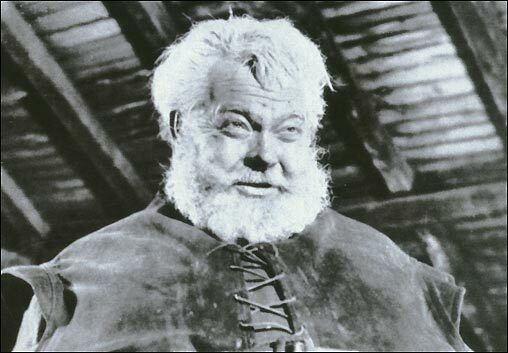 No, this film did a lot right. Brandon Routhe was incredible and absolutely deserved another go at Superman, but Kate Bosworth was disappointing, the intense alignment with the more absurd aspects of the earlier Superman franchise were disappointing, the Daily Planet (usually my favorite aspect of the Superman mythos) felt cold and wanting, and I was totally thrown by Superman being a baby daddy. Still, I absolutely would have gone out to see a sequel, even if I had no love for this particular film. They had the right guy in the suit and could have worked the rest out with a second film. I am slowly coming to the realization that you and I may have different tastes. I guess its a love it or leave it kind of show, but I love it. No capes, no powers, no nuthin I usually love so much about comics. But we do got zombies man...and lots of. I love that they've explained that in this universe there was never a history of zombie movies, books, or comics giving people foreknowledge on how to deal with the "walkers", because that's something Ive always been frustrated by. The "Fear the ..." show was especially bad for this, my lady and I are swearing at the TV and the stoopid people in it who don't know enuff to survive the next 10 minutes let alone a whole season. However here in Atlanta (or surrounding environs) we got a Rick. Man that dude can survive. ...Daryl make these my goto apocalypse surviving team supreme. The comic has been a major surprise to me, a slow burn, slow release, sneak up and shock you little gem that never lets you forget no one is ever safe. Every time I start to feel like giving it away it comes back more essential than ever. I love the way that the book and the program show that the undead aren't the worst things out there...we are. Our infinite ability to hurt, maim, and kill each other, and in turn love and protect each other are a constant insight into the human condition. That's where Robert Kirkman has shone, in his ability to make this so much more than it has a right to be. Where the show really shines is in having us care so much about the people in it, hell the way we love Daryl so much is a testament to this. The guy was a predator to start with, and the evolution of this, to his becoming a man shouldering the burden of protector and provider, though it goes against so much of his nature, is one of the highlights for me. ...and love or loathe him, getting Jeffrey Dean Morgan's Negan chewing the scenery has been a blast. It was a fully realized version that was brought to the screen in 2011 by Marvel Studios to add to the Marvel Mythos. 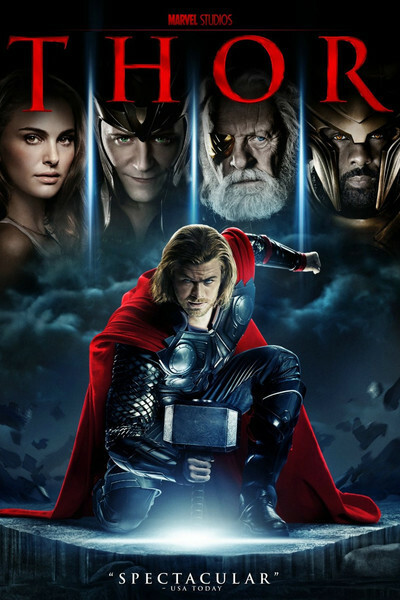 The story of Thor being exiled to earth and stripped of his Hammer was perfectly done and the changes from the source material proved to make the story better. No Don Blake secret Identity in this film, but rather a still arrogant Prince looking to find his hammer only to finally be humbled while fighting the Really impressive Destroyer. Visually, this movie has to be watched on the big screen to really drink in the awesome colors and spectacle of the world of Asgard. The casting was inspired from Tom Hiddleston to Idris Elba and a really cute Jane Foster played by Natalie Portman. Really, the cast had no weaknesses. Fun fact: The character of Fandral was replaced in the second movie and was played by Zachary Levi who starred in the TV series “ Chuck”. I'd read the series when it first came out and liked it, but was shocked, in a good way that it was going to be a movie. Who'd have dreamed it would nearly this good ? 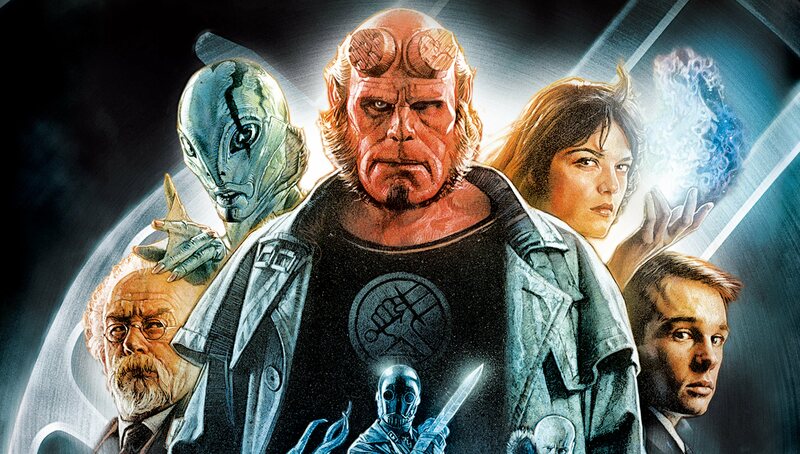 Special FX were top notch and we've got Mr. Monster Hellboy, Abe Sapien, the Professor and, Liz and Abusive Occultist Parents, Nazis and Golden Age tech ! Who couldn't love this popcorn flick ? Saw it with my Dad and brought a rare smile and laugh from him. I'd give equal praise to the sequel Hellboy and the Golden Army. Haven't seen either of the animated movies. Let's hope against hope that the third movie gets made, though I'm not holding my breath. Others have beaten me to the punch on this, so I won’t belabor it, but as these choices are our favorites, I have to go back to the first time I saw these, which must have been when I was 10 or 11. They were rarely if ever on television, but when they were, they just looked so real, so much like the way a superhero would look if he would only show up somewhere on the vicinity, that they were like living in an issue of a Superman comic for a few minutes. When they reappeared on VHS and later on DVD, I scarfed them up ASAP so that my kids and I could watch them together. To my delight, they loved them, one more reason they make my list this year. And they were just so cool. 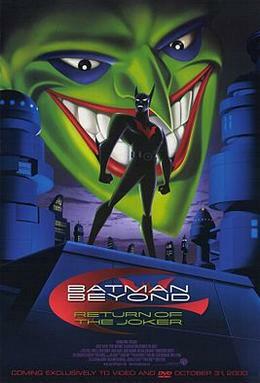 I thought the Batman Beyond series was a great expansion of the DCAU and this movie, for me, is the personal highlight of the series. But it's a very dark tale. The Joker returns in an impossible fashion, menacing a futuristic Gotham. Terry is bewildered while Bruce seems even more distant than usual. Terry has to learn from Commissioner Barbara Gordon the truth of her and Batman's last encounter with Joker and the role Tim Drake played in what they believed then was the Joker's demise. It's a terrifying encounter, steep in psychological warfare between Bruce and the Joker with young Tim being brutalized and brainwashed. How that factors into Joker returning 'now' is well-done and scary. But what I enjoy the best is the ultimate confrontation between Terry and Joker. Here we see the difference between this Batman and the original, how Terry's approach to fighting him is unconventional and alien to the Joker. The moment where Terry, hidden in the rafters, laughs, LAUGHS at the Joker still gives me chills and a smile. The animation and story still hold up today and you can get an unedited version of the film on blu-ray (with some scenes of gore and violence restored) but overall, in terms of examining the twisted psychology between hero and villain, between yesterday and today, this film is an excellent example and study. When I was a kid, I had the great good fortune to be introduced to anime through a couple of classic shows. First was G-Force, aka Battle of the Planets, but more important was the back-to-back awesomeness of StarBlazers and Force Five. Force Five was actually an anthology of five different shows, one which aired on each day of the week. Mondays was Danguard Ace, Tuesdays was Starvengers, Wednesdays was Spaceketeers, Thursday was Grendizer, and Friday was Gai King. To be honest, Grendizer was probably only my second favorite, as I really liked Spaceketeers. But that was an original property, while Grendizer was adapted to the screen by manga creator Go Nagai. As such, it kind of stands in for me for all of the great anime that influenced my childhood and countless creators in comics and cartoons since.